with the Martial Art of Ninjutsu! for parents who want the Best! "10 Stupid Things Parents Do...Without Even Knowing It!" 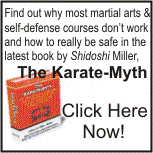 ... there is nothing like a well-structured martial arts program to do just that. A well-structured program teaches the same child-development lessons that many other groups and organizations do, but with several distinct differences. Check out the links at the bottom of this page for more information and resources about child-development that will allow you to help your child to become all that he or she can be. Empower Your Child with Respect, Self-Discipline, Confidence and the A,B,C's of Conflict Resolution! ... this is a one-of-a-kind program that develops the whole child. 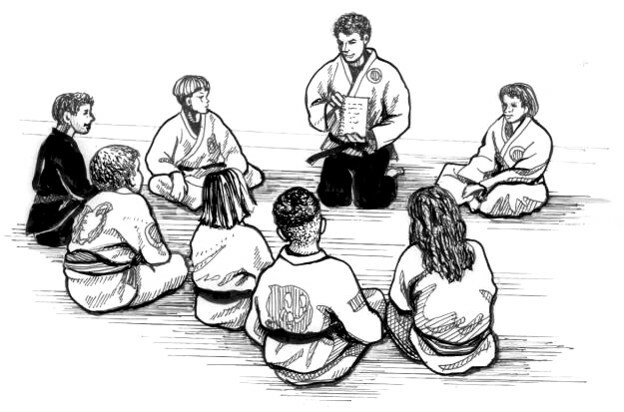 Take a minute and schedule your child's first Black Belt Leadership class with us right now. Just call the academy at (570) 988-2228 or use this contact form and one of our professional Mastery-Leadership Instructors will contact you. click here to read reviews of Dr. Webster-Doyle's child development books. 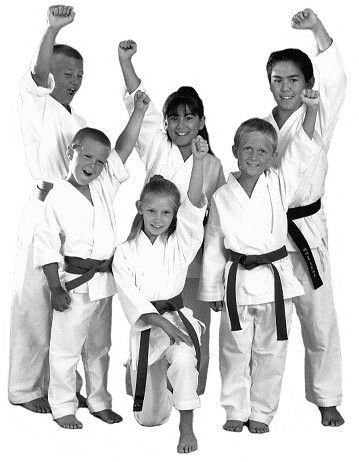 ... no other child-development program develops the whole child like the martial arts. ... not just in the martial arts but at home, in school, and in the community. When compared to the three major types of groups or organizations set up to focus on child-development, none comes close to offering the same important benefits as the programs offered at WCI. Schools, by their very nature, focus on the development of intellect, knowledge and understanding of left-brain, logical processes. And, while this is necessary for success, experts agree that there is far more to intelligence than merely memorizing facts and data. Children (even those who attend religion-based private schools, are graded on primarily academic requirements. Children are usually graded on 'participation' in these classes, rather than progress with regards to fitness goals. Speaking of sports programs, what percentage of the school actively participates in them? Maybe 20%? And that's if we count every team. In reality, the figures are probably closer to 10%. That means that 90% of the children in a school are getting no more than a token class or two each week that even remotely implies physical fitness! And, even then, no one really takes the phys. ed. grade seriously when they see it on a report card, do they? I mean really? Unless your child is a part of a physically active youth group, a church's function - it's very purpose - is in the spiritual/religious development of the person. Period. When I say spiritual/religious, I mean making sure that it's members are living by the moral and ethical standards of the church's position or doctrine (this is the ideological, position it has taken which separates it from every other church - even those of the same denomination). However, when speaking of spiritual development within the martial arts, I'm talking about the emotional strength of the person. While a religious person may develop confidence out of their beliefs as to what may or may not happen to their soul, or their relationship with a particular divinity, it is also true that the very same person can have low self-esteem and self-confidence relating to their own worth or ability to be successful in the conventional world. Please understand that this is not a positive or negative position about any religious or spiritual organization or doctrine. WCI, while presenting lessons from a wide range of traditions and foundations as they have been passed down through the martial arts, does not interfere with any student's preferences or choices when it comes to spiritual/religious study. The point here is to show that, when it comes to child-development, churches and their youth groups rank very high in the spiritual department, mental development ranks low because it really isn't about learning much outside of the specifics of that denomination's history, system of beliefs and doctrine, and, it ranks low in the physical development department unless the group meets several times a week or month for fitness-oriented activities and activily promotes the physical well-being of the member. Let me finish by saying that this assessment is of course based on my own observation and experience. There are probably, and inevitably, exceptions to the rule. ... those with a high rank in physical (team sports, etc. ), rank low in the spiritual department and vice-versa. ... they do not work on fitness, academic learning, and personal development in each and every meeting. ... body, mind, and spirit. ... doing your best no matter what. If you do not live near us, get your copy of Shidoshi Miller's ebook, "10 Really Stupid Things Parents Do To Put Their Child In Danger Without Even Knowing It!" and use it as a guide to making sure that your teaching your child the correct lessons to be safe and secure in today's often dangerous world. 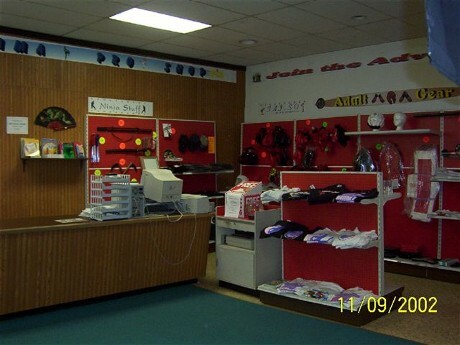 ... Give us a call today at (570) 988-2228 to set up an appointment for your son or daughter. Don't forget to check out our great Internet Special Offer where you can save $100 off the cost of your new program! 1) You'll take a tour of the facility to see that we are professional educators who are serious about what we do and here to help you help your child. 2) You will meet our Program Director and some of our instructors and participate in a personal assessment interview to see if the Youth Mastery Programs at WCI are right for you. 3) You will watch your child take their first Black Belt Leadership class. After this, if you are ready to take the next step toward helping your son or daughter with the positive benefits of child-development, the program director will show you how you can use the VIP Guest Pass to save $100 and get a free month of training in the process. Call Warrior Concepts today at (570) 988-2228 and start your child on the path to positive change.